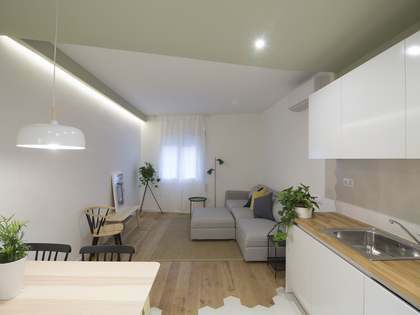 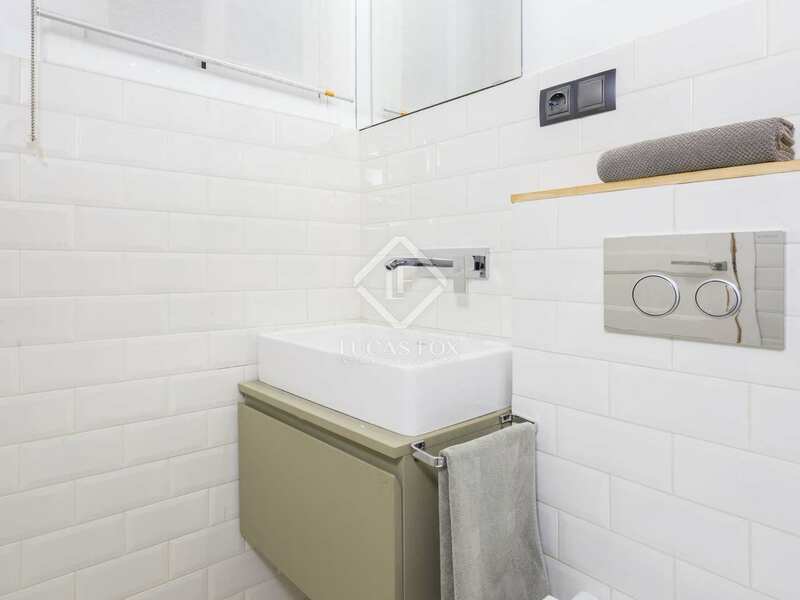 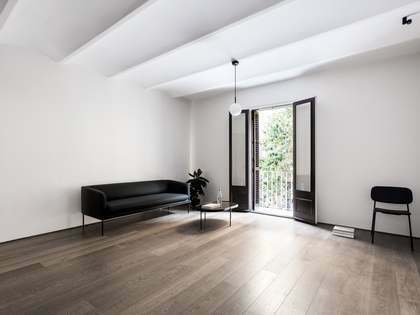 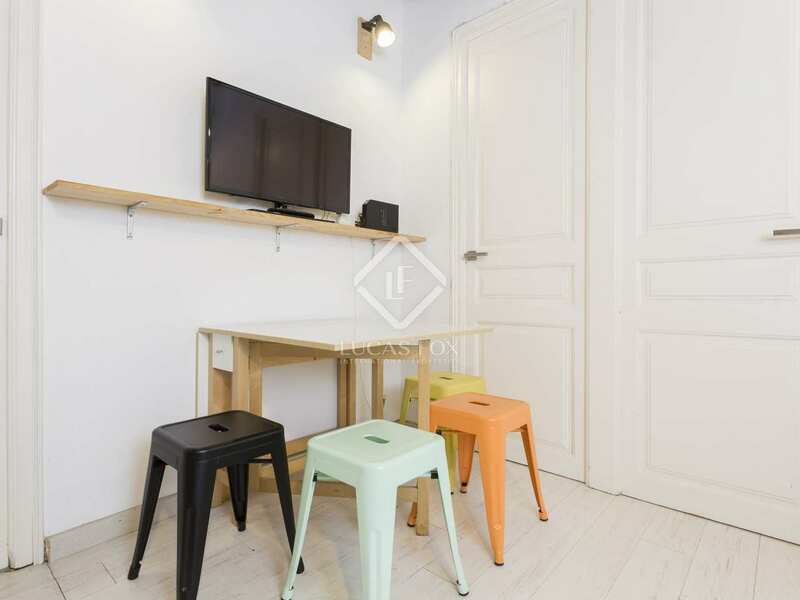 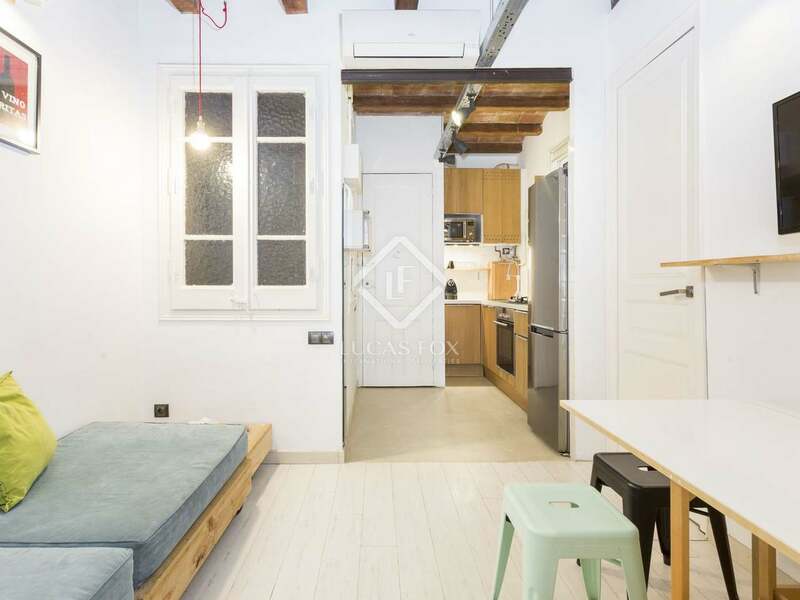 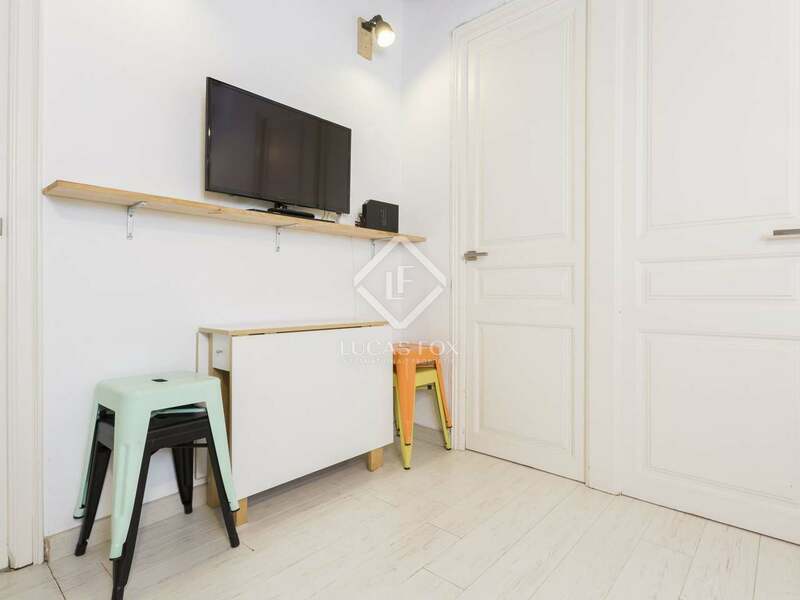 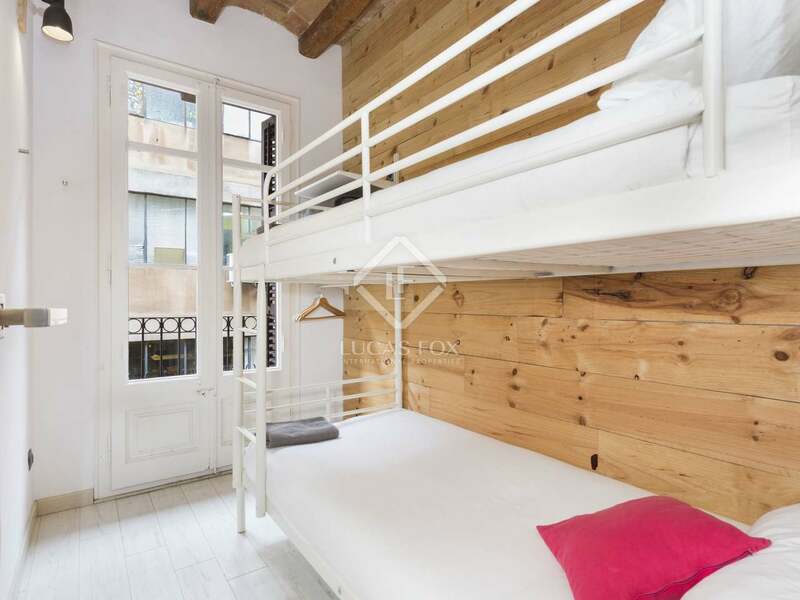 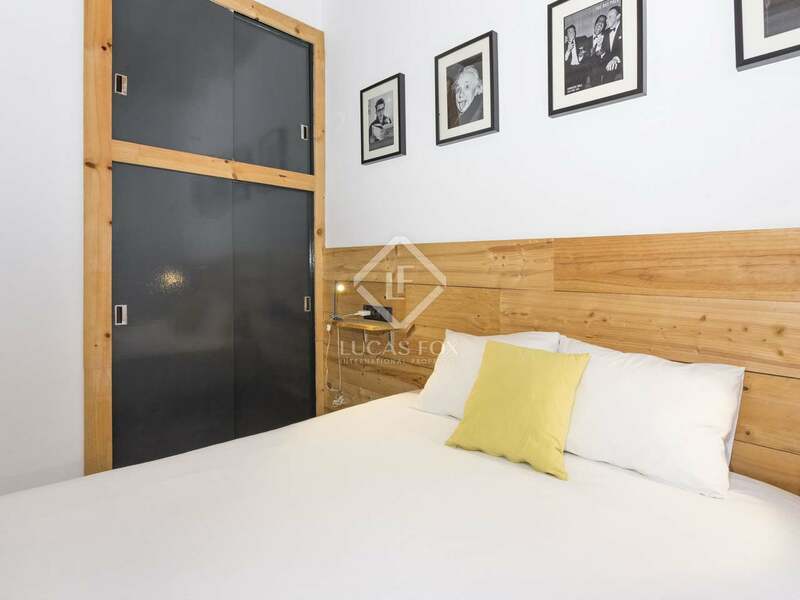 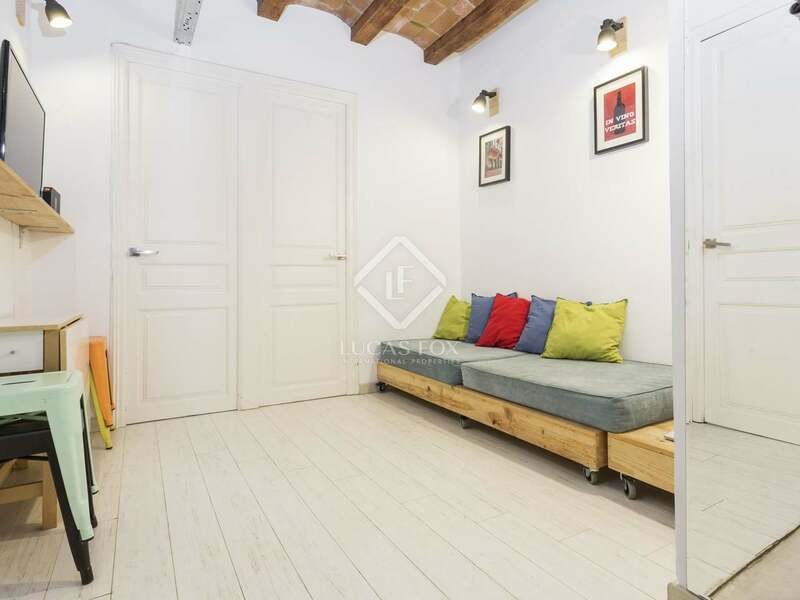 This charming 2-bedroom apartment is located in a turn-of-the–century building on a pedestrian street, lined with bars and cafes, in Gracia, just minutes from Passeig de Gracia and Avinguda Diagonal. On entering the apartment we find a living area and kitchenette. 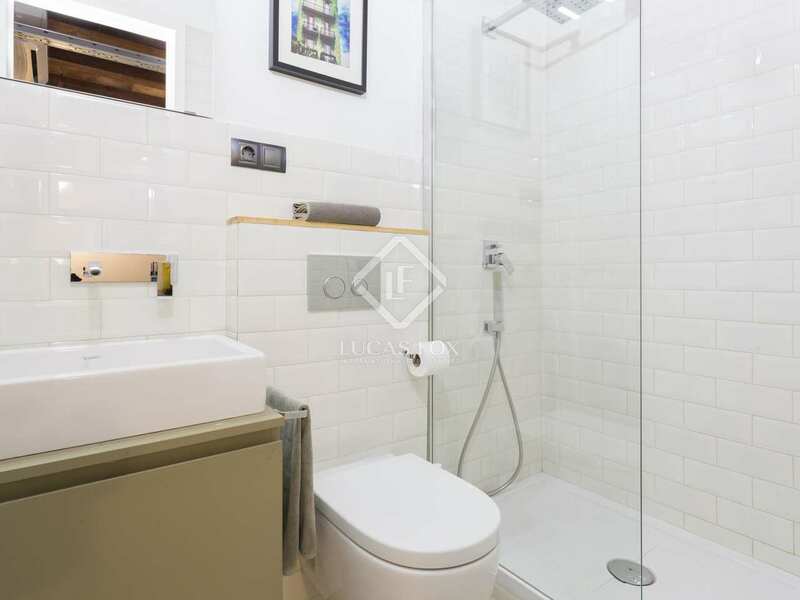 In front of this is the bathroom which has a shower, sink and toilet. 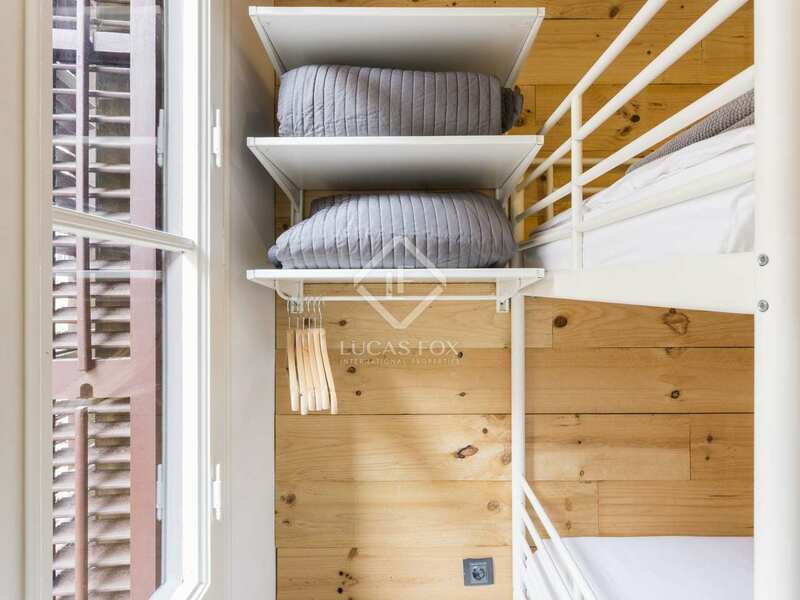 At the other end of the living room are the 2 bedrooms, one single and one double, which both have balconies over the street. 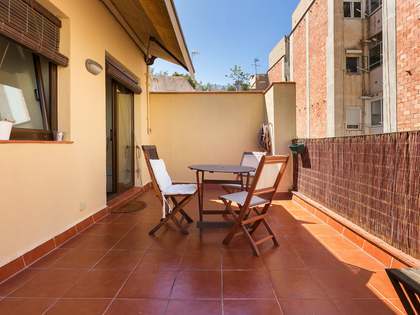 Facing north east, the apartment is bathed in sunshine during the morning. 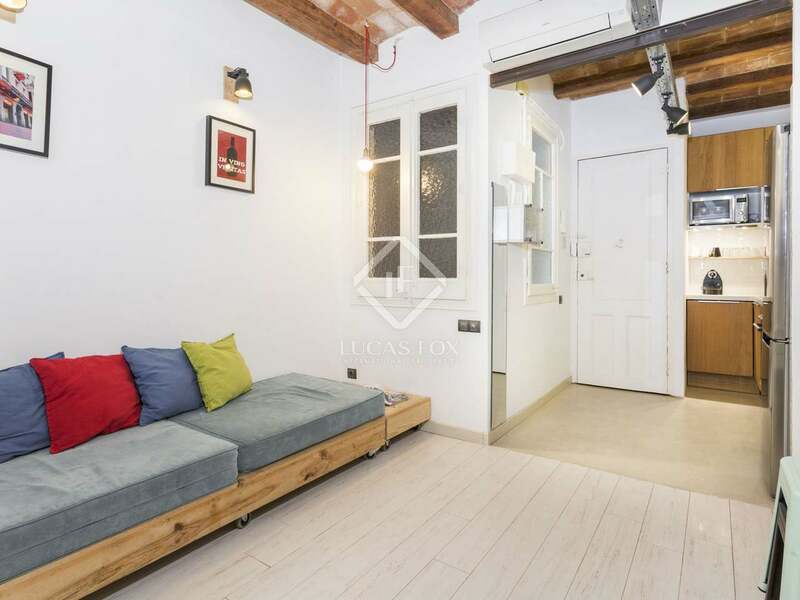 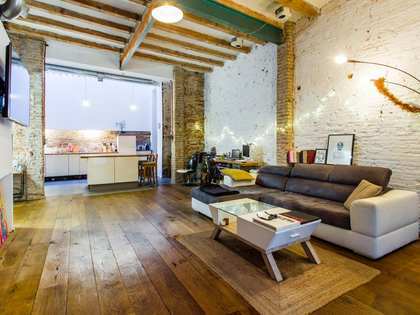 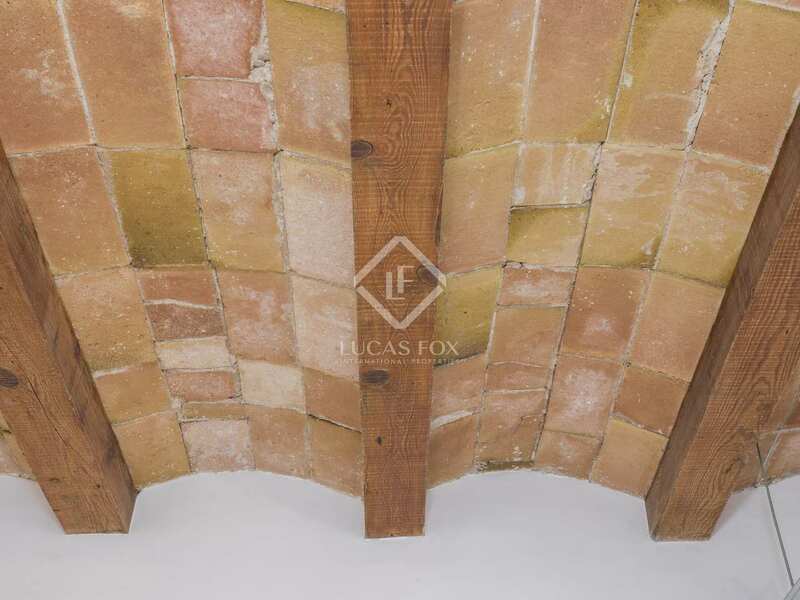 The apartment has recently been renovated, maintaining original features such as the attractive vaulted ceilings with wooden beams, and combining them with elegant modern touches. 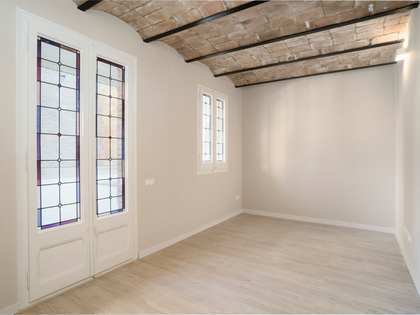 It is being let furnished and is presented in perfect condition with air conditioning and heating. 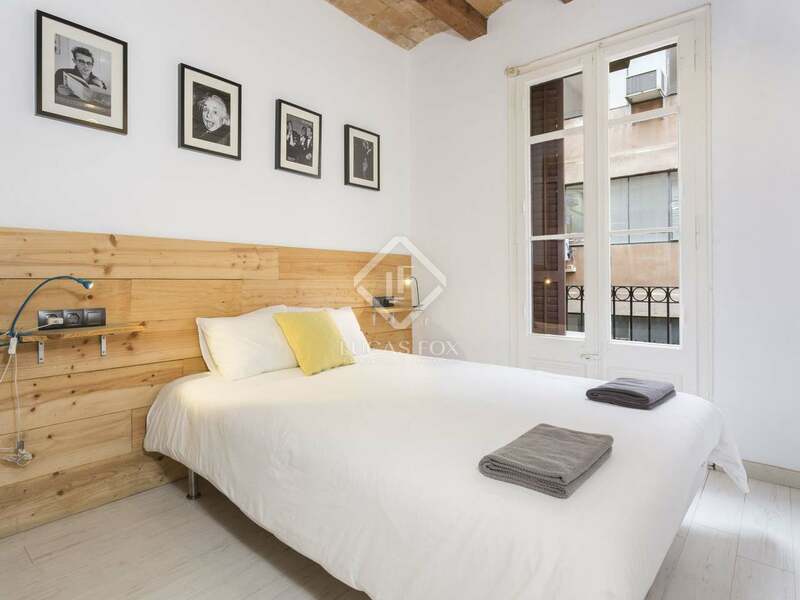 An excellent home or pied-a-terre for an individual or couple and a sound rental investment given its central location and tourist licence. 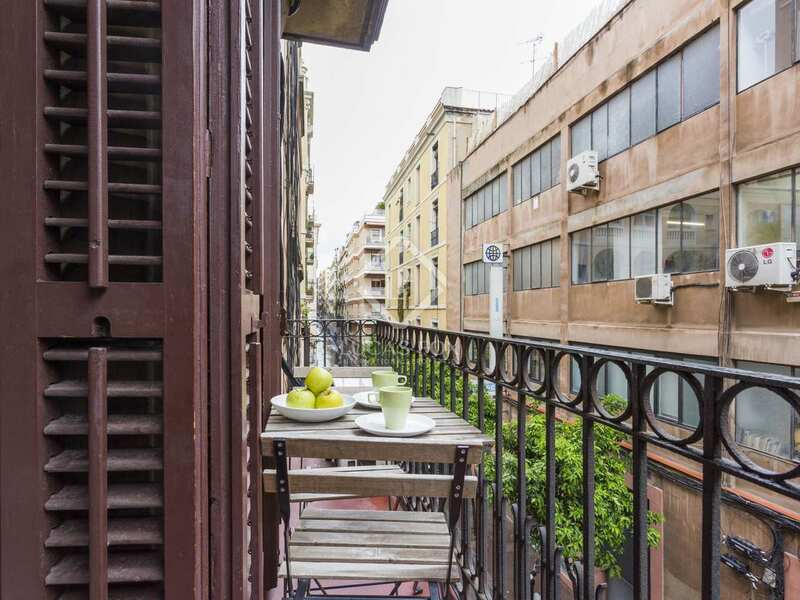 In 2016 the apartment enjoyed a 6.37% gross rental yield with a 71% occupation rate. 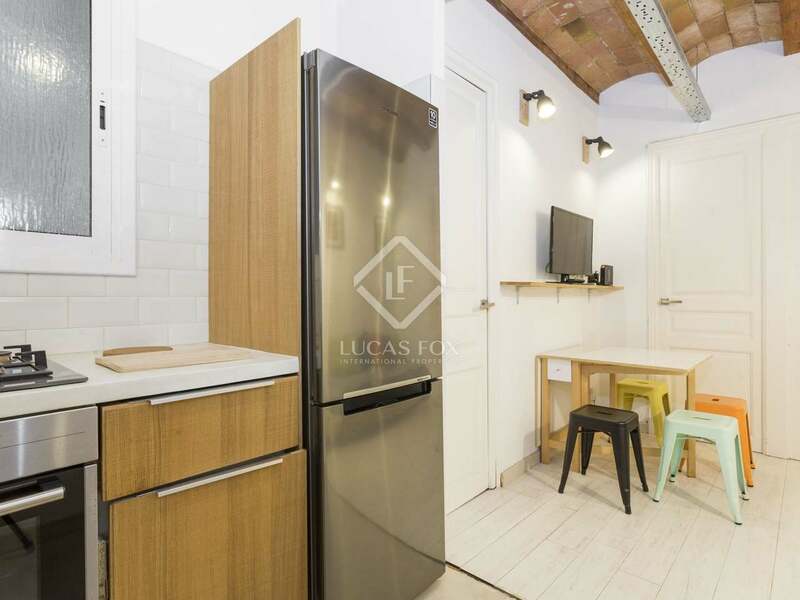 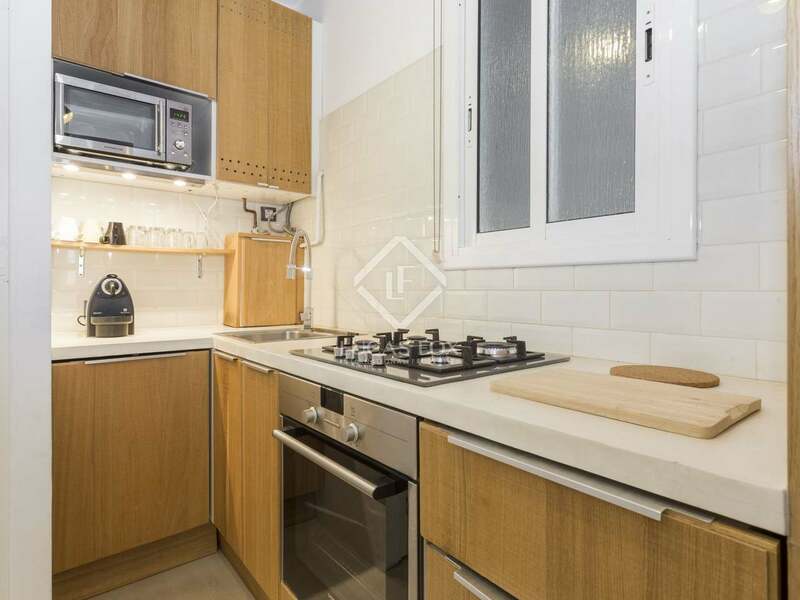 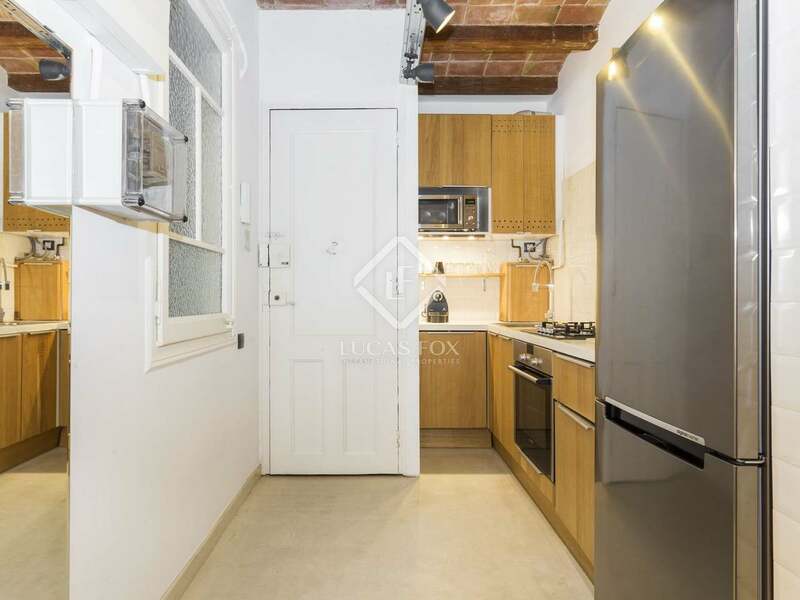 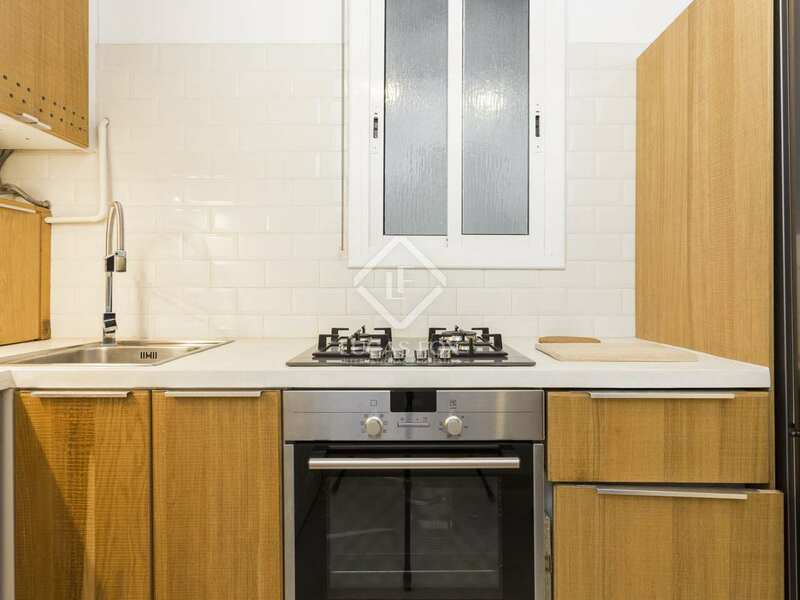 Apartment on Carrer Sant Agusti, a pedestrian street in an excellent location, very close to Passeig de Gracia and Diagonal.